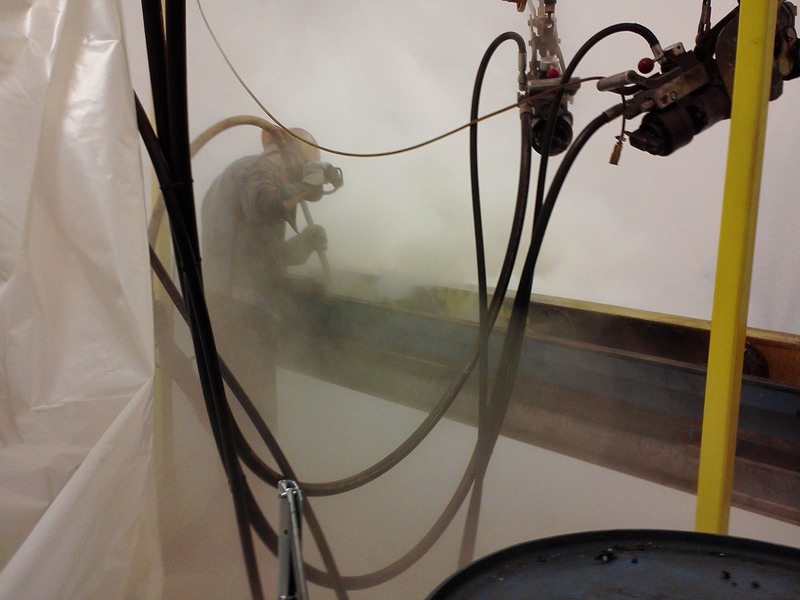 Dry ice blasting, also known as Co2 blasting is a revolutionary cleaning process. It has the cleaning power of extreme cold to go along with the cutting power of ice pellets. Dry ice blasting hits the surface at about 110 degrees (Fahrenheit) below zero, which causes the target material to shrink and lose adhesion to the surface. Co2 blasting service pellets can also get under surface contaminants. The pellets return to their gaseous state. This rapid expansion helps lift the grime from the surface. Paint, oil, grease, asphalt, tar, decals, soot, dirt, ink, resins, and adhesives are easily removed by dry ice blasting. Dry ice blasting leaves nothing behind except the material that is removed. Once the pellets hit the surface, they return to a gaseous state. This reduces the cleanup costs of the process since there is no water, sand or other media to dispose of. Electrical parts and generators can be immediately put back into service because they do not get wet from Co2 blasting service. Dry ice blasting pellets are soft and will not damage or scar sensitive equipment. Your equipment will retain the tolerances you’ve established saving time and money. Mildew and mold removal are far more complete with less chance of regeneration because dry ice blasting does not leave any water or moisture behind. Co2 blasting service removes more algae, sea slime, and mussels from boat hulls than water blasting. Dry ice blasting is used in place of many environmentally damaging solvents, thereby eliminating the cost of purchasing and the disposing of these chemicals. Dry ice blasting is 100% ecologically safe, USDA rated, biodegradable and harmless to humans, animals and marine life. The Co2 blasting service is approved for use by the FDA on food and beverage equipment. Dry ice blasting is extremely effective in removing toxic residues, soot, and associated smells after a fire. For the best in Co2 blasting service and all industrial cleaning contractor and environmental services, call Powerclean Industrial Services. Powerclean meets all OSHA and environmental regulations for its industrial cleaning contractor services. Our mission is excellence in training, safety, response time and the environment, bringing an exceptional value to every customer.